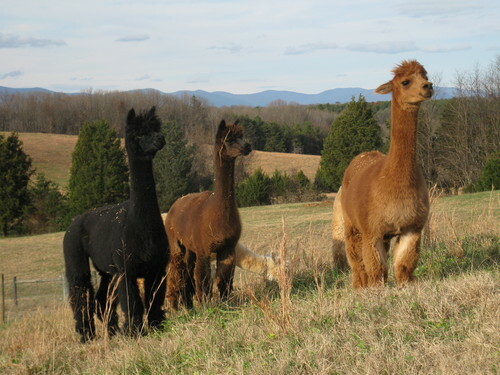 Magik Springs Farm is an alpaca farm located in Ruckersville, Virginia owned by B. Gail Macik. The "Magik" of the alpaca "Springs" from the twinkle in their eye as they draw you in and wrap you in contentment as soft as their luxurious fiber. 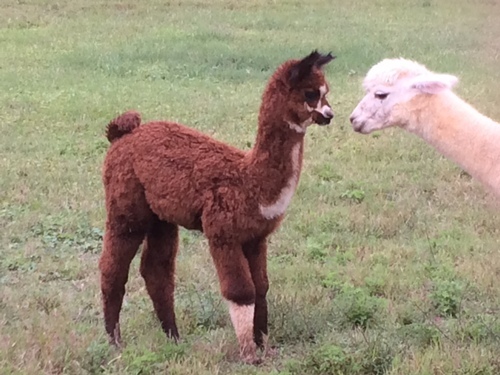 Magik Springs farm is an owner operated alpaca farm located on 10 acres in the rolling hills of central Virginia. 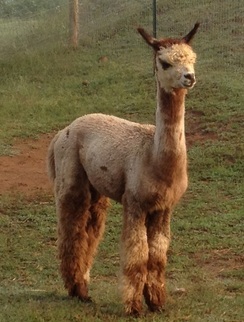 The farm sprang to life in late 2011 to raise and admire these wonderful creatures. Tending to an alpaca fosters a bond that is surprisingly exhilarating. As the first 3 years unfolded, the farm mission grew from experiencing the "Magik" of the alpaca to expanding and promoting the alpaca industry. The farm is young but the desire to raise a genetically sound herd with fine fiber to share is the daily goal on the farm. Located 30 minutes from Charlottesville and 2 hours south of DC, the farm is tucked between hills that provide a barrier between the rush of everyday life and the peacefulness of country living. The hill rising behind the barn gives the "Magikal" illusion of alpacas playing on the roof top as they graze the hillside. Less than a mile from Hwy 29, the main thoroughfare, the farm is easy to reach but hard to leave. 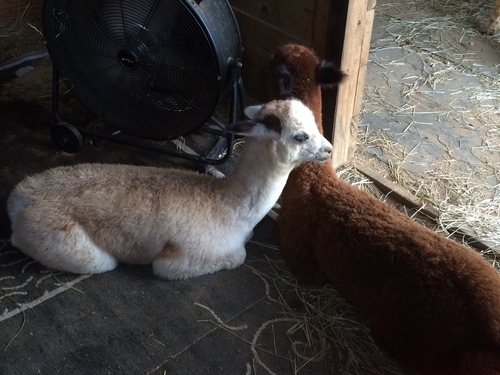 The farm is growing, producing a ribbon apiece for the first 2 crias born on the farm during our first show season. An encouraging start as through breeding and acquisition the quality of the herd is growing. Now with the addition of a multi blue ribbon winner, and "born on the farm" 1st, 2nd, 3rd, 4th place ribbons in the subsequent show seasons the breeding program is being refined and improved. 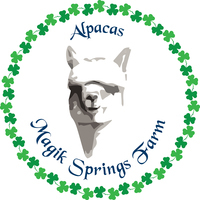 Come, experience and share the "Magik" of alpacas at Magik Springs farm.